Just saw it is back to all Mopar this year. I stopped by there and got the contact information for the new track manager. Once I'm out of this school I will call him and get some information for everyone. For years they have done Mopars versus the World on Saturday and then Mopar Only on Sunday. I'll report back as soon as I can. Rob, are you the race coordinator for this race now? I was just in the neighborhood and thought I'd pitch in and help since I think I'm about the closest person to the track. There is a chance I won't be able to make it to the race due to work, so I can't commit to too much. I will report back as soon as I know something. what is chances of having Friday night 1/8 mile make up race for Knoxville ? I'll call them in the next couple days and post here Rusty. Are the dates Sept. 8th - 10th? 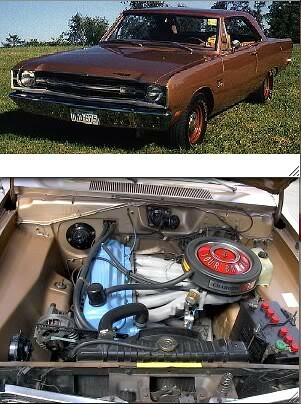 I know it used to be Chrysler Southern Classic now it's Monster Mopar? 9th & 10th according to the schedule. I've been trying to call the new manager. I've left messages. I'll keep trying and report back. So,... Am I supposed to ask about a Knoxville make-up 1/8 mile race? I may be getting mixed signals on that(?). Mater. PM'ed your sorry arse. Just sayin'. Josh King is the promoter now. He posts on Moparts now and then. If you want to try for an 1/8th makeup race, you should probably call the Bruners and make sure it's OK with them. I don't see why not. Nice to meet you finally at Knoxville!